The agency has agreed to help in a criminal probe of former or current officials over possible misuse of taxpayer funds and conflicts in developing train stops. Trent Nelson | The Salt Lake Tribune UTA CEO and President Jerry Benson speaks as Utah Transit Authority officials hold a news conference to discuss an ongoing federal investigation and reforms they have enacted, at UTA headquarters in Salt Lake City, Tuesday April 4, 2017. At right is UTA General Counsel Jayme Blakesley. Trent Nelson | The Salt Lake Tribune Utah Transit Authority officials hold a news conference to discuss an ongoing federal investigation and reforms they have enacted, at UTA headquarters in Salt Lake City, Tuesday April 4, 2017. From left are, UTA CEO and President Jerry Benson, UTA General Counsel Jayme Blakesley, UTA Board Chair Robert McKinley, and UTA Vice Chair Sherrie Hall Everett. Trent Nelson | The Salt Lake Tribune UTA CEO and President Jerry Benson and Board Chair Robert McKinley take questions as Utah Transit Authority officials hold a news conference to discuss an ongoing federal investigation and reforms they have enacted, at UTA headquarters in Salt Lake City, Tuesday April 4, 2017. 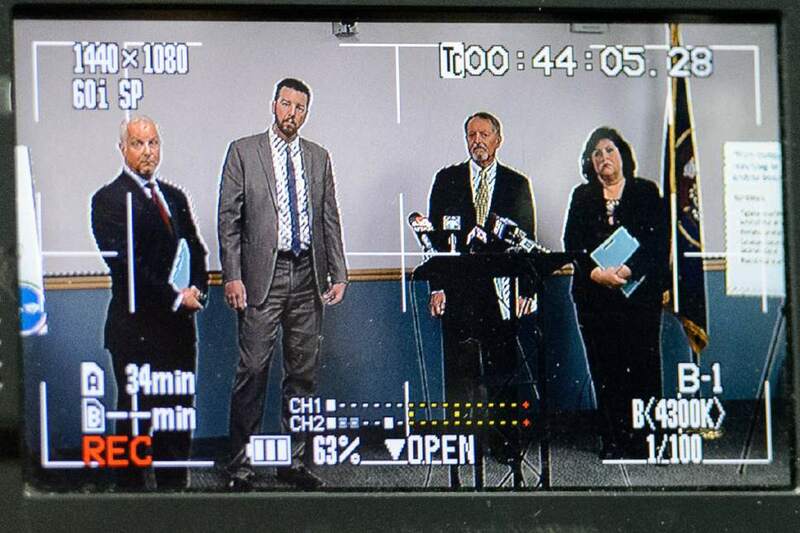 Trent Nelson | The Salt Lake Tribune Utah Transit Authority officials hold a news conference to discuss an ongoing federal investigation and reforms they have enacted, at UTA headquarters in Salt Lake City, Tuesday April 4, 2017. From left are UTA Board Chair Robert McKinley, CEO and President Jerry Benson, General Counsel Jayme Blakesley, and Vice Chair Sherrie Hall Everett. Trent Nelson | The Salt Lake Tribune UTA CEO and President Jerry Benson takes questions as Utah Transit Authority officials hold a news conference to discuss an ongoing federal investigation and reforms they have enacted, at UTA headquarters in Salt Lake City, Tuesday April 4, 2017. Trent Nelson | The Salt Lake Tribune UTA Board Chair Robert McKinley, as Utah Transit Authority officials hold a news conference to discuss an ongoing federal investigation and reforms they have enacted, at UTA headquarters in Salt Lake City, Tuesday April 4, 2017. Trent Nelson | The Salt Lake Tribune UTA CEO and President Jerry Benson speaks as Utah Transit Authority officials hold a news conference to discuss an ongoing federal investigation and reforms they have enacted, at UTA headquarters in Salt Lake City, Tuesday April 4, 2017. 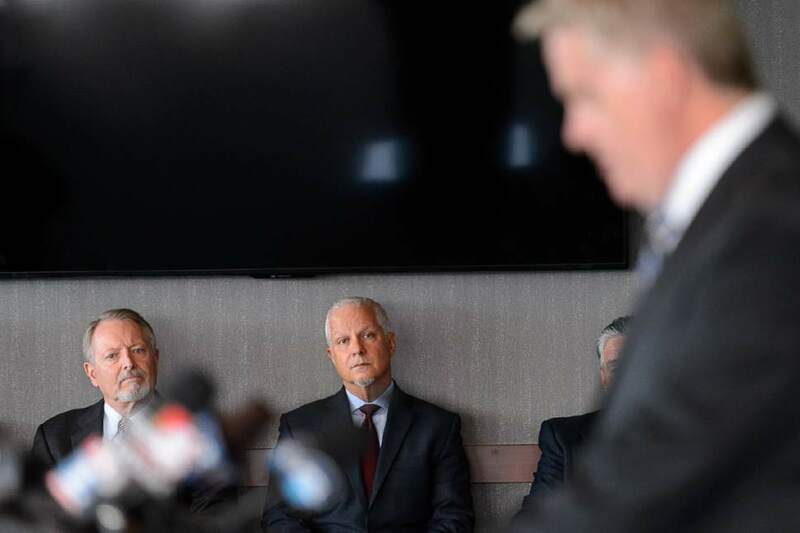 Trent Nelson | The Salt Lake Tribune Utah Transit Authority's Robert McKinley and Jerry Benson look on as U.S. Attorney John W. Huber announces an investigation into UTA at a news conference in Salt Lake City, Tuesday April 4, 2017. 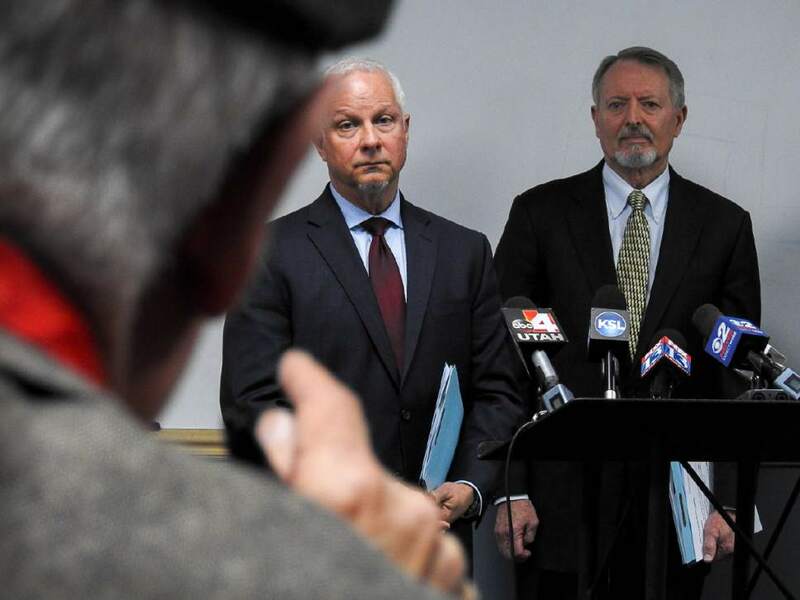 Trent Nelson | Tribune file photo Utah Transit Authority officials hold a news conference to discuss an ongoing federal investigation and reforms they have enacted, at UTA headquarters in Salt Lake City, Tuesday April 4, 2017. UTA General Counsel Jayme Blakesley stands in the forefront explaining details. Trent Nelson | The Salt Lake Tribune UTA CEO and President Jerry Benson and Board Chair Robert McKinley take questions as Utah Transit Authority officials hold a news conference to discuss an ongoing federal investigation and reforms they have enacted, at UTA headquarters in Salt Lake City, Tuesday April 4, 2017. 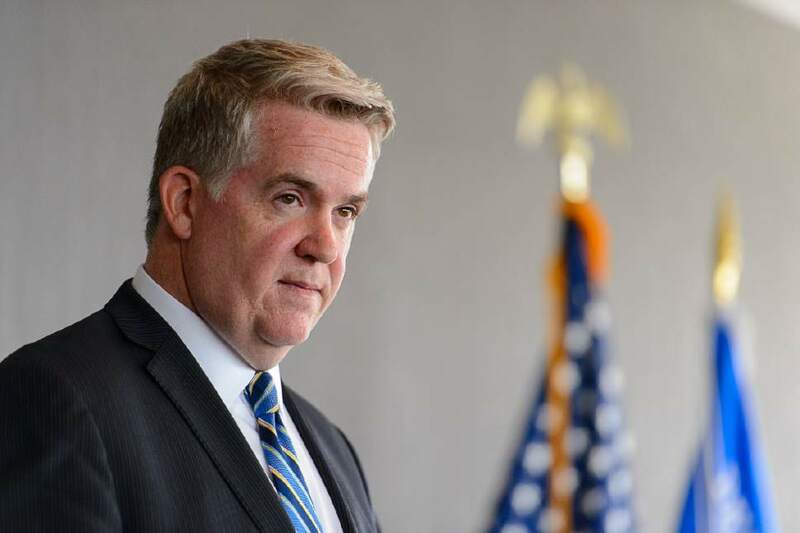 Trent Nelson | The Salt Lake Tribune U.S. Attorney John W. Huber announces an investigation into the Utah Transit Authority at a news conference in Salt Lake City, Tuesday April 4, 2017. 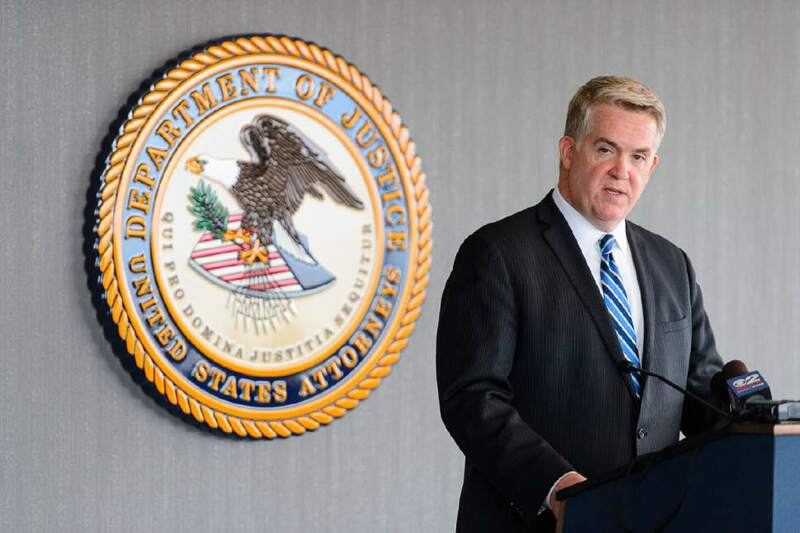 Trent Nelson | The Salt Lake Tribune U.S. Attorney John W. Huber announces an investigation into the Utah Transit Authority at a news conference in Salt Lake City, Tuesday April 4, 2017. Trent Nelson | The Salt Lake Tribune Utah Transit Authority CEO and President Jerry Benson speaks at a news conference where an investigation into UTA was announced, in Salt Lake City, Tuesday April 4, 2017. Trent Nelson | The Salt Lake Tribune Utah Transit Authority CEO and President Jerry Benson speaks at a news conference where an investigation into UTA was announced, in Salt Lake City, Tuesday April 4, 2017. 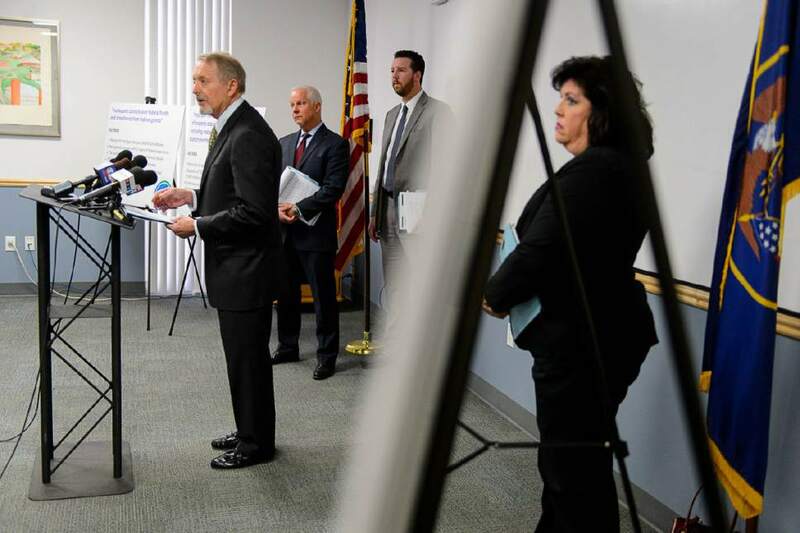 Trent Nelson | The Salt Lake Tribune U.S. Attorney John W. Huber announces an investigation into the Utah Transit Authority at a news conference in Salt Lake City, Tuesday April 4, 2017. 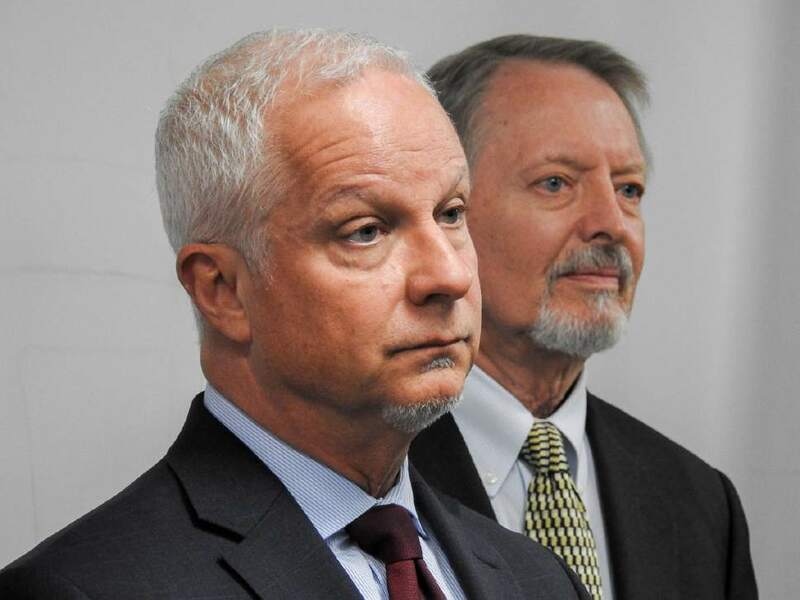 Federal prosecutors have cut a deal with the Utah Transit Authority to refrain from bringing charges against the agency in exchange for UTA&apos;s cooperation in a long-running criminal probe into former UTA board members and others concerning possible misuse of taxpayer funds and development around train stations. Under the agreement announced Tuesday  apparently as a grand jury is considering UTA-related matters  the transit agency promises to "completely disclose to [prosecutors] all relevant facts it learns regarding individual misconduct of all individuals of whom UTA learns are involved in or responsible for the misconduct at issue." 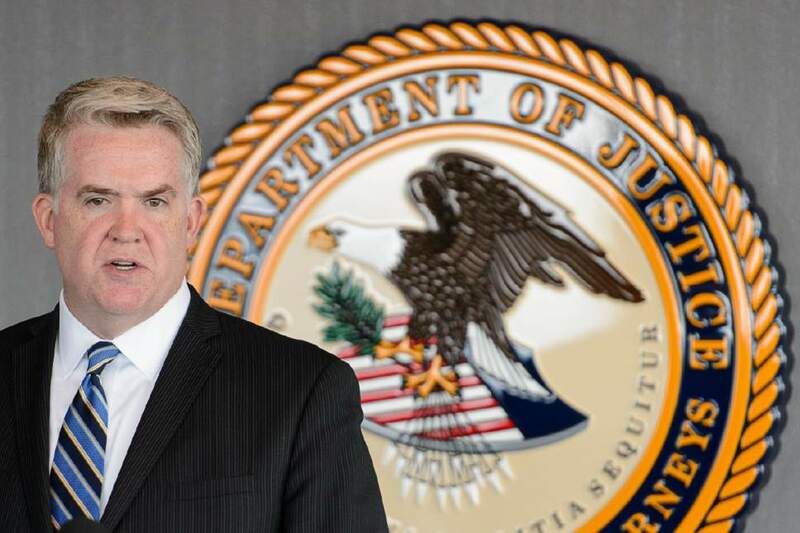 U.S. Attorney John Huber took pains to emphasize that those unnamed individuals were the important targets of the investigation. 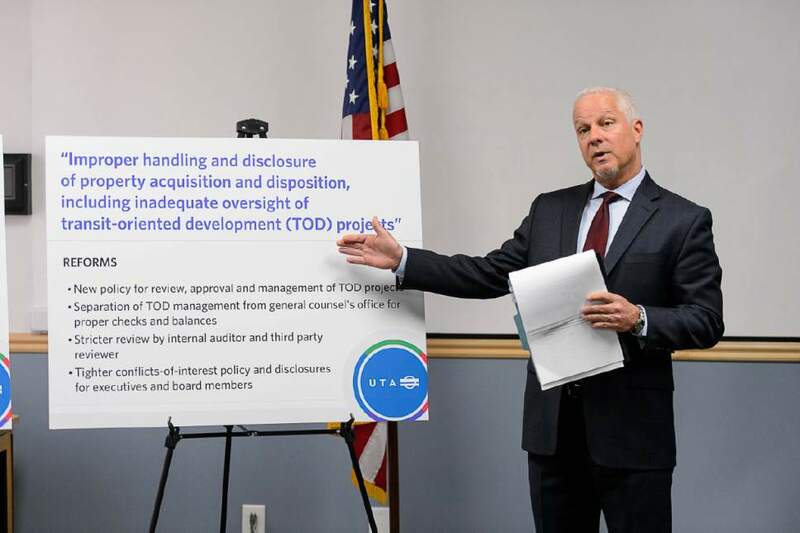 The nonprosecution document says it does not apply to "any other entities nor to any individuals, including UTA&apos;s present and former board members, officers, employees, contractors and consultants." "To be clear," Huber told reporters and television cameras, "this is a positive development and an agreement that not only advances the general interest of justice but also significantly benefits our continuing investigation into individual misconduct." Huber declined to answer reporters&apos; questions. However, The Salt Lake Tribune has witnessed three federal prosecutors involved in the UTA investigation shuffling in and out of a grand jury meeting room at the federal courthouse during the past two weeks. The cooperation agreement distributed to reporters Tuesday cites a 2014 report by the state&apos;s legislative auditor general. The 2014 legislative audit found that UTA was acting as a source of funds for developers rather than a partner in what&apos;s called a Transit Oriented Development around the Draper FrontRunner station. It cited a $10 million payment from UTA in December 2009 to developer Jeff Vitek, supposedly for construction of a parking garage, although there were no immediate plans to build one. The funds were paid shortly after the developer acquired the right to purchase property at the station site, the audit said. "The concern with UTA&apos;s financial role is consistent with our earlier observation that, in some respects, UTA seemed to be acting as a banker for the same developer with the $10 million advance payment for the Draper FrontRunner parking structure," auditors wrote. Developers at the Draper site included at various times Terry Diehl, a member of the UTA board. A 2010 audit found that Diehl appeared to have violated conflict of interest laws by using insider information to obtain developer rights to the Draper station project. Diehl in late 2009 supposedly sold those rights to his partner Vitek, though documents in lawsuits now in state courts say Diehl retained a 50 percent ownership. Investigative and audit documents say Diehl "made less than $24 million" when property at the site was sold to eBay. Diehl has said most of the money was used to pay bills, and that he made "very little" profit. 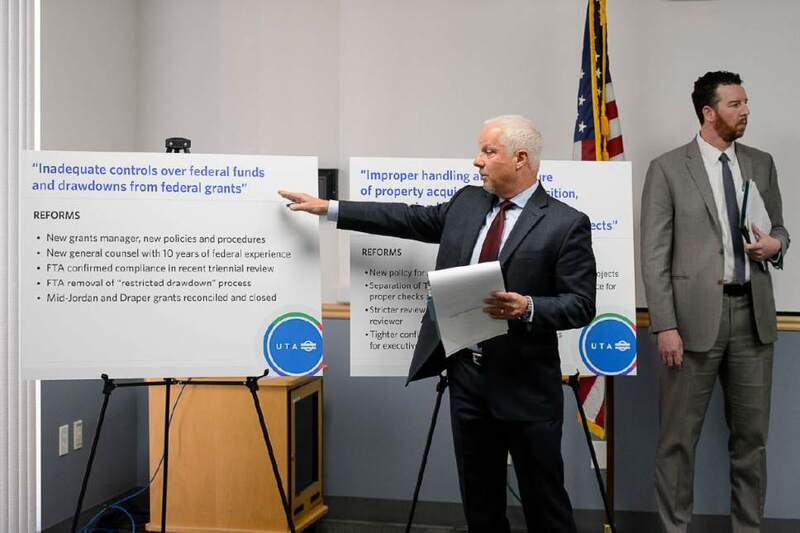 Auditors referred the matter to the Utah attorney general&apos;s office, which handed it off to federal prosecutors in 2013, citing a conflict of interest. Diehl&apos;s attorney, Peter Stirba, said he had no comment about Diehl&apos;s possible role in the federal investigation. Stirba also has been representing Utah House Speaker Greg Hughes, a former member and chairman of the UTA board. Court documents suggest that Hughes may have received hundreds of thousands of dollars from Diehl through the Draper project, though both have denied that funds were paid to Hughes, his family or related entities. A statement provided to news organizations by Hughes&apos; attorney Brett Parkinson said the speaker had met recently with federal authorities, but he has been informed that he was not the target of an investigation. "I have spoken with the U.S. attorney who has confirmed to me that the speaker is not a target of this or any other investigation. Speaker Hughes has offered and continues to offer his assistance," Parkinson said. "In response to his offers of assistance, the speaker met with federal authorities last week. Out of respect for their investigation, we cannot comment further." 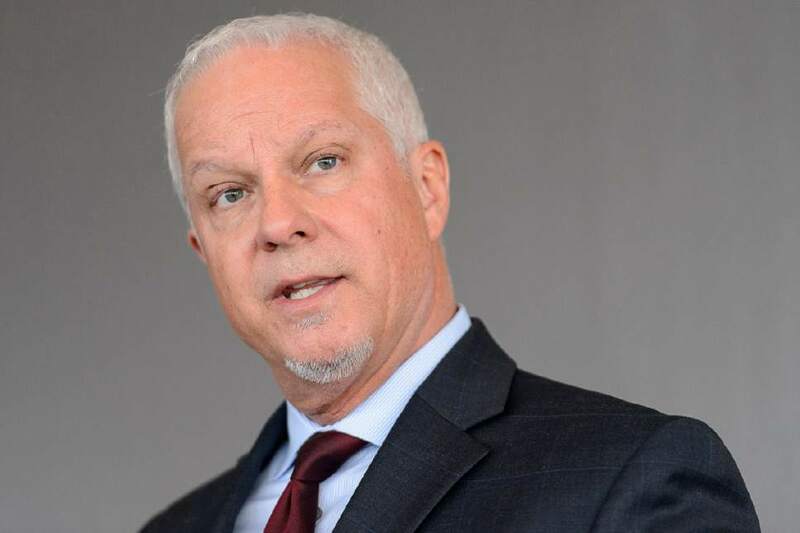 UTA Board Chairman Robert McKinley said the nonprosecution agreement announced Tuesday "lifts a dark cloud" from over the agency, which has agreed to hire an independent monitor to watch over its operations. 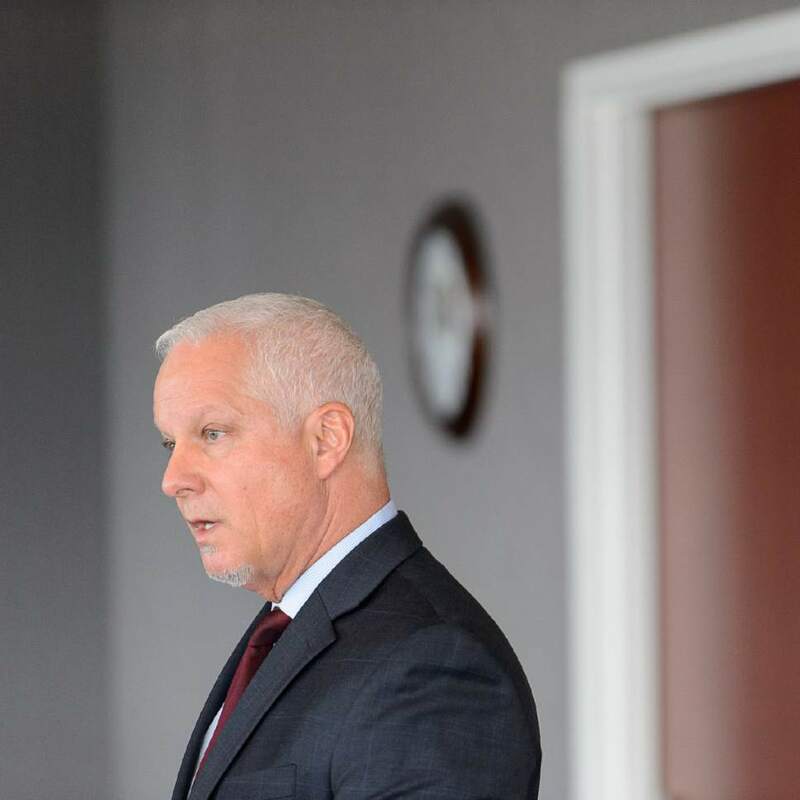 He was joined by UTA attorney Jayme Blakesley and UTA President and CEO Jerry Benson at a news conference at the agency&apos;s headquarters later Tuesday, where they outlined reforms in recent years. Blakesley, who joined the agency in March 2015 after spending nearly 10 years at the Federal Transportation Administration, said findings from the federal investigation drove some of the reform efforts though the audit was the main trigger. "The investigation helped us identify some of the things that were concerns, and it certainly informed the reforms," he said. UTA officials said they saw the announcement of the agreement with the U.S. attorney&apos;s office as an opportunity to tout the reforms they have been engaged in, including replacement of top officials, stricter controls and an atmosphere of openness about the agency&apos;s operations and finances. Other documents released Tuesday had been provided to the U.S. attorney&apos;s office to demonstrate that the agency was serious about its new emphasis on ethical conduct, officials said. Among them was a 2015 letter from Blakesley to Diehl, asking him to stop contacting UTA board members in an attempt to influence their decisions on projects after Diehl had left the board. "I write to request that you cease and desist from any and all contact with UTA, effective immediately," Blakesley wrote. In an Aug. 9, 2016, letter, UTA officials chastised Michael Christensen of the Thackeray Garn Co. for inviting investments in a transit-oriented hotel in South Jordan from former UTA board members Chris Bleak and Sheldon Killpack; both resigned from the board in the wake of a 2015 controversy over a trip to Switzerland with legislators. That trip, led by Hughes, was to examine benefits of a mountain-rail system and attempt to recruit a railcar manufacturer to Utah. 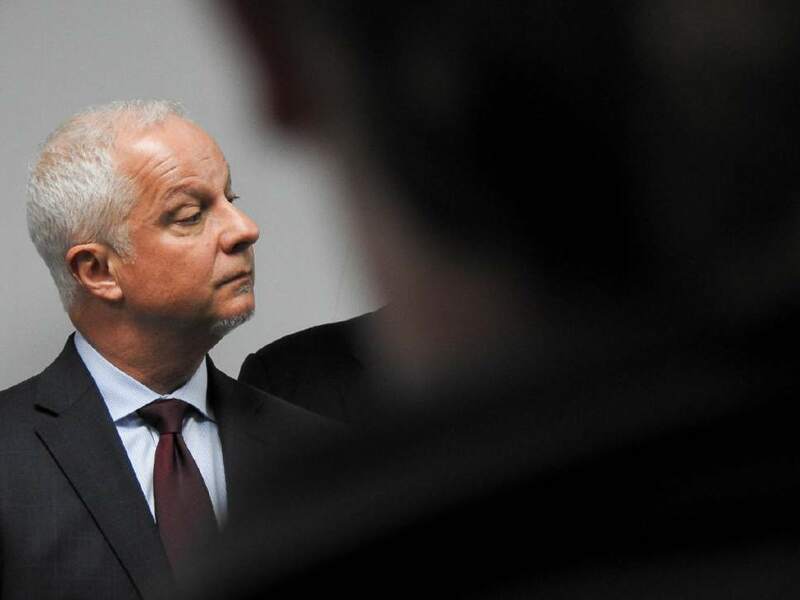 Killpack, a former state Senate majority leader appointed to the board by Hughes, said Kevin Garn, a former Utah House majority leader, talked to him about investing and that the company had sought permission from UTA. Killpack said he presumes the 2016 letter was UTA&apos;s "no" answer and that he never put money into the project as a result. Bleak also said he had informed UTA of the offer and never invested in the project. Garn could not be reached for comment, but John Thackeray, a partner at the firm, said he didn&apos;t know whether the company approached Killpack and Bleak or the other way around, and that the company had plenty of investors. "Whether they had a chance to get involved and whether it was our idea or their idea, I don&apos;t really know," Thackeray said. "But we certainly weren&apos;t making some kind of favorable deal with them." But the UTA letter indicates that officials had asked the company for a list of investors and then found the names of Bleak and Killpack even though it said there had been "significant discussions and negotiations" to ensure no former board members participated. 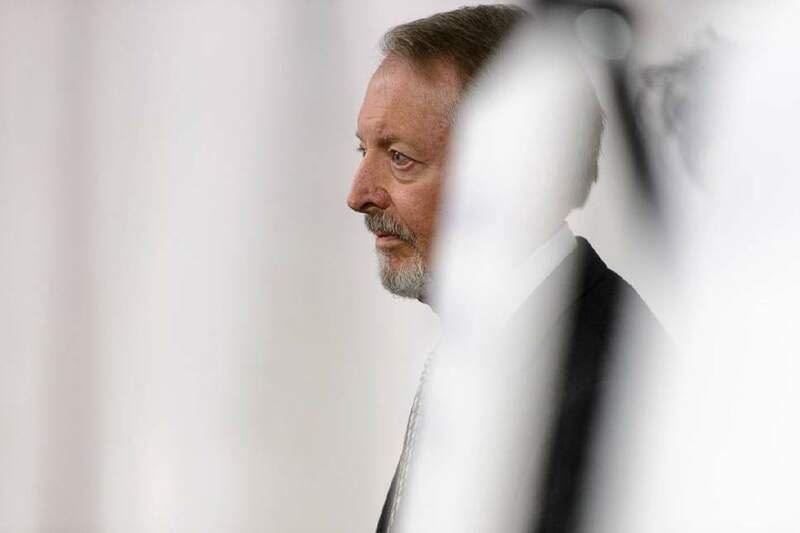 "This is not the first time a former member of UTA&apos;s Board of Trustees has participated (or otherwise become involved to their personal financial benefit) in a Thackeray Garn Company-UTA transit-oriented development project," the letter from Benson and Blakesley said. 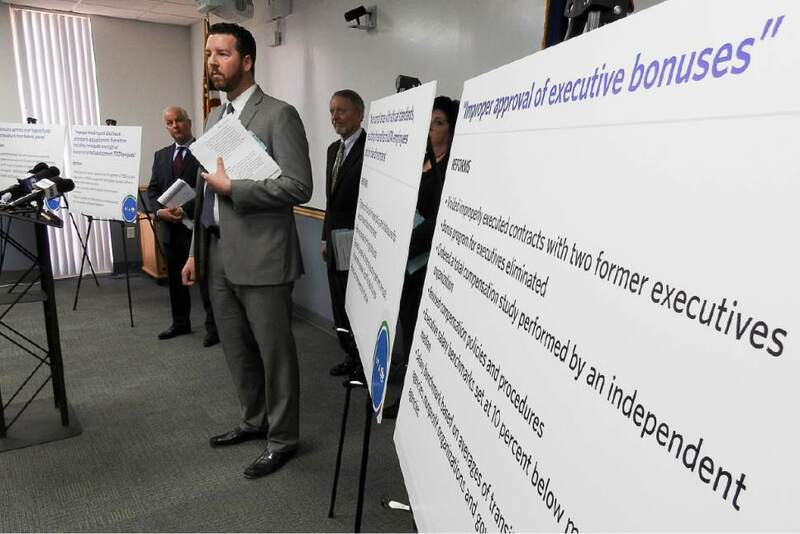 Agency officials said some trouble arose from lax requirements around reporting conflicts of interest. They say they&apos;ve corrected that issue by requiring employees and board members who make financial decisions to fill out conflict of interest forms and have a process to ensure the accuracy of that information. But those forms and investigations are not available to the public because they might disclose private finances, officials said. UTA also agreed to waive attorney-client privacy guarantees, meaning legal documents involving its attorneys could make their way into the hands of federal prosecutors. Federal authorities also found issues related to TRAX extensions in West Jordan and Draper, Benson said, though he said there was no theft or misuse of federal funds. "A review by UTA and [Federal Transit Administration] officials found inconsistencies in reporting and inadequate documentation for expenditures charged to federal grants for the Mid-Jordan [and] Draper TRAX extension," Benson said.